He also tried to hire local residents for participation in illegal armed formations in Donbas. The SBU Security Service of Ukraine has detained a fighter of the terrorist organization "Donetsk People's Republic" ("DPR") when he arrived in Kharkiv, Ukraine, for a "rest." A native of a Caucasian republic, who lived in Kharkiv before 2014, began to cooperate on his own initiative with the Russian-terrorist forces that occupied parts of Luhansk and Donetsk regions, the SBU press service said. The fighter joined illegal armed groups, namely a "DPR" assault brigade, the Cossack Union "Region of the Don Army," being involved in subversive and reconnaissance activity. He also fought together with the Zarya terrorist battalion of the "Luhansk People's Republic" ("LPR") against the Armed Forces of Ukraine near the town of Debaltseve. "Having returned to Kharkiv region for a 'rest,' the fighter was in touch with members of the 'DPR' and 'LPR' terrorist organizations. He also recruited local residents to illegal armed formations," the SBU said. 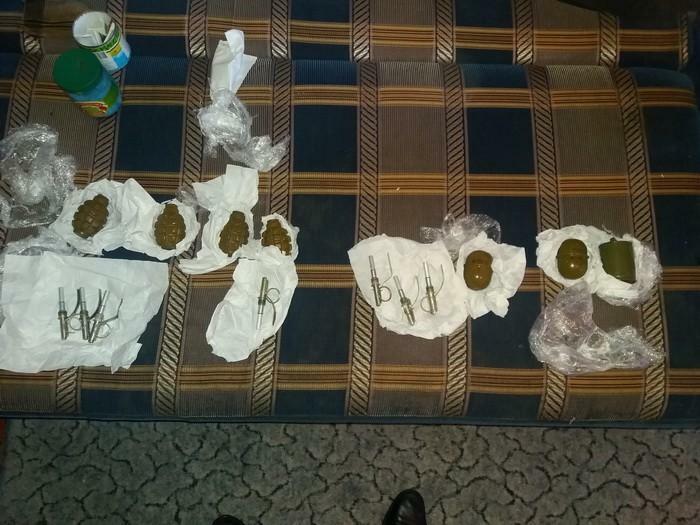 According to the SBU, the terrorist was planning to go back to the occupied territory to join "LPR" troops. 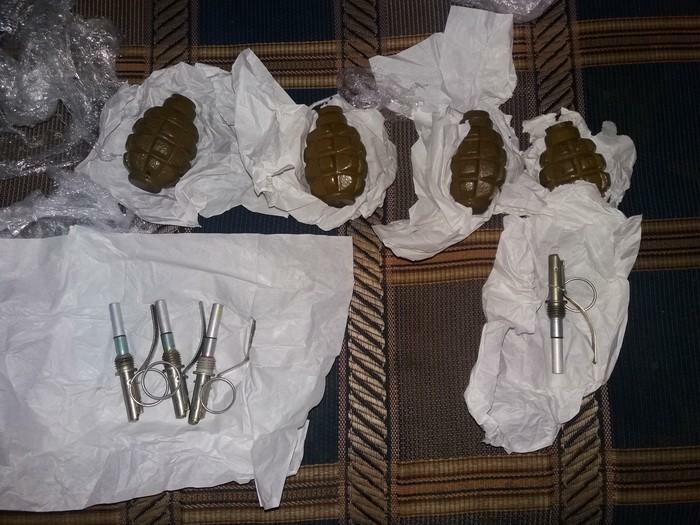 The SBU raided on a private house in Kharkiv where the terrorist was staying, during which seven F1, RGD-5 and RG-42 combat hand grenades with fuses were found and seized along with two TNT blocks whose total weight was 400 grams. The terrorist was detained under Article 208 of the Criminal Procedure Code of Ukraine. 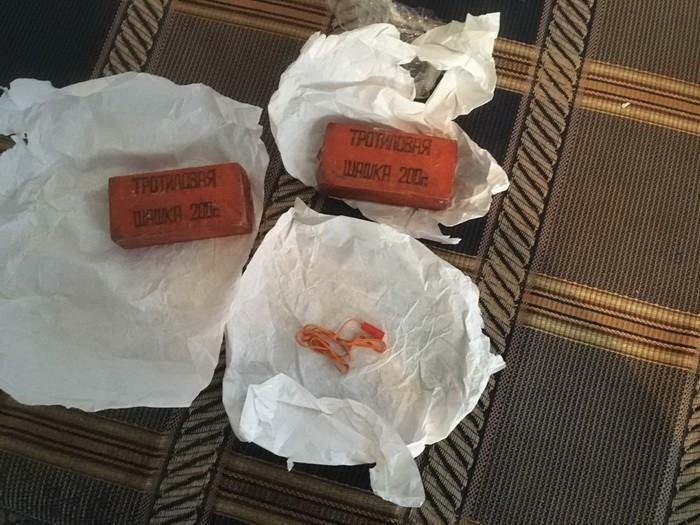 SBU investigators in Kharkiv region informed him about suspicion of committing crimes under Article 258-3 (participation in a terrorist group or a terrorist organization) and Article 263 (illegal handling of military supplies and explosives) of the Criminal Code of Ukraine.